Are you ready for the adrenaline rush of a lifetime?! Feel the pure euphoria and thrill of jumping from a plane at 13,000ft with Skydive Auckland, Auckland's leading Tandem Skydiving provider. In the safe hands of your highly trained jump master you will be fully guided thru this amazing experience. Starting with a pre flight safety briefing and basic instruction, you are strapped to your jumpmaster before taking off on a spectacular scenic flight. Epic views of Auckland's countryside and spectacular coastline provide a momentary distraction as the plane climbs to altitude. Reaching 13,000ft the doors of the aircraft open and it's time to jump! Tumbling into the intense rush of freefall that lasts for a full 45 seconds, it can feel like minutes as your adrenaline surges. Achieving terminal velocity and speeds of at least 200kmph this experience is one of indescribable exhilaration, and being truly alive! Then before you know it the canopy is deployed and the pace slows as you take a scenic parachute flight safely back to the dropzone, buzzing from the experience. An absolute must on any self-respecting adrenaline junkies bucket list! Under 18's will need a parent of guardian to sign the consent form. Initially i was distraughted as my itial plan to do skydive in toupo was canceled due to weather. As it was my lastday in nz, i pray that it would be clear sky in auckland. And it was awesome experience at 13000feet above the sky. I was nervous at first but the instructor was professional, calm me down and the video n pic taken were awesome. I was speechless for a while after landing and only can feel my feet later on. 5star to skydive auckland! Finally plucked up the courage and pennies to do this and it was hands down the best experience I've ever had. Felt very safe the whole time and had the time of my life! The staff were really friendly and kept checking up on us leading to the day of the jump, they let our dog there which was nice and yeah the instructors were real cool and nice as well, even tho it’s kinda expensive, I highly recommend and I got the video aswell, if it’s your first jump I recommend the video aswell!! Amazing staff and one of the most memorable experiences of life. Anyone breathing on this planet, must try it once in their lifetime. What a wonderful staff and people they have who won't let u feel scared even for a second. 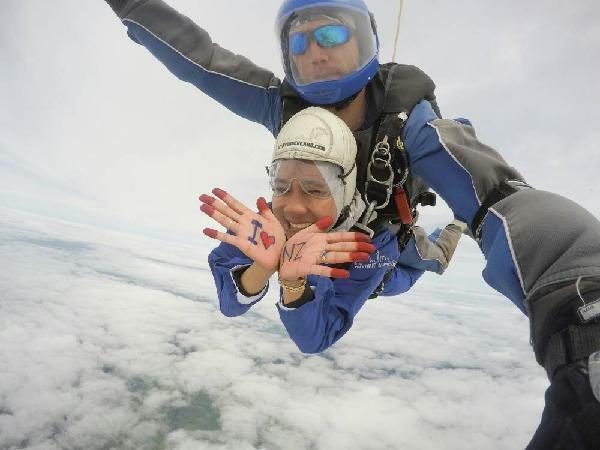 Your message has been sent to Skydive Auckland - 13,000 ft Tandem. You should hear from them shortly. 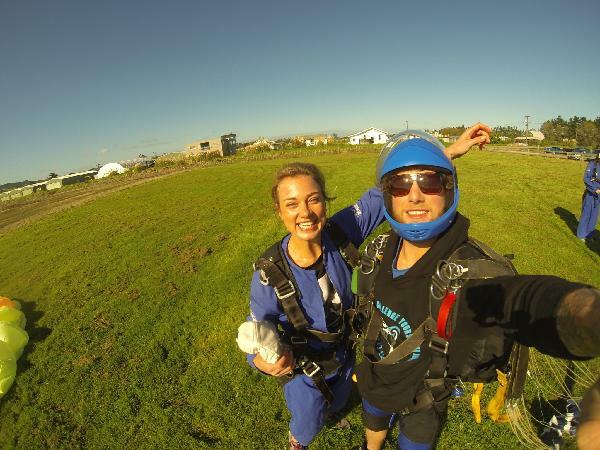 Please note: all responses will come directly from Skydive Auckland - 13,000 ft Tandem, and not the team at Bookme.